6 shows, simultaneously directed by Daniele Finzi Pasca on world tour! 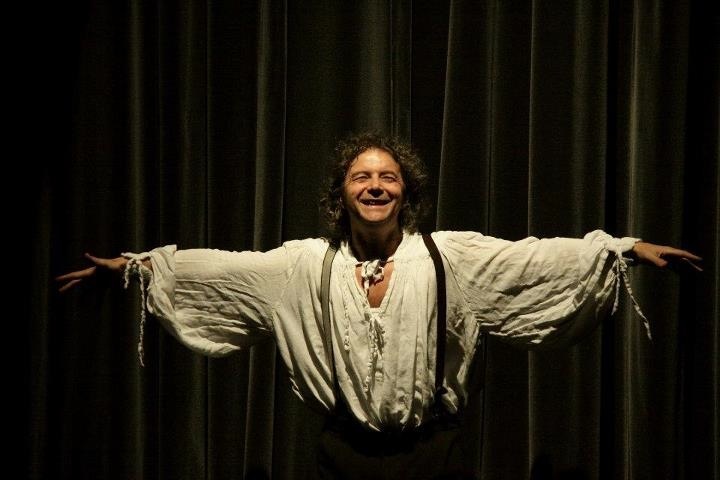 After 27 years, 791 performances in 130 cities around the world, Icaro returned to Montréal, from 15 to 17 November, at the Théâtre St-Denis, in French and English. The Spanish version will be shown on 8 and 9 December in Mérida (Mexico), as part of the La noche blanca. On 11 November, the La Verità show was performed in Baku, as part of the M.A.P. Festival. For the first time, our company has come to Azerbaijan. Bianco su Bianco was staged from 30 to 31 October at the Teatro Dimitri in Verscio and on 5 November at the Teatro Ristori in Verona. The 2018 tour will end on 21 and 22 December at the Cinema Lux in Massagno, Switzerland. After coming to Switzerland, Italy and France in just two months of touring, the Donka show will be performed from 19 to 21 December in Winterthur. Luzia, produced by Cirque du Soleil, directed by Daniele Finzi Pasca and written with Julie Hamelin Finzi, has reached an audience of over 1.7 million since its debut in 2016. The show is being performed in Mexico City from 8 November to 23 December. Just 9 months after its return to the stage, the Corteo show has already reached 31 U.S. cities. Before the end of the year, Corteo will also be in Québec, Toronto and Montréal, the city where it debuted back in 2005.